Human Kind Project works with some of the best not-for- profit organisations in the world to support and fund projects that transform lives and communities. 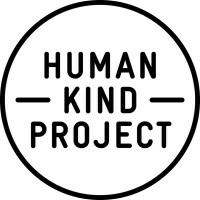 Human Kind Project started by aligning their brand to a greater purpose, beyond product and profit and now helps other businesses do the same. Human Kind Project has a big mission aligned with the Global Goals. 193 world leaders have committed to ending extreme poverty, fighting inequality and injustice and ending world hunger by 2030. The Global Goals are designed to get these things done, in all countries, for all people. The Human Kind Project believes that we can be the zero hunger generation. To date we have raised $109,000 and we know we can achieve our goal of raising $200,000! Go beyond business as usual. Every dollar goes a long way. You can help us reach our goal by donating below. $25 Provides workbooks and chalk to one of our nursery schools in Africa so that they can continue to learn to read and practice writing, creating a better future. $50 Could provide anti-malarial bed nets to five families. This alone reduces the risk particularly for children under the age of 5 from severe illness, disease and death. $100 Is the size of the first micro- finance loan for a budding female entrepreneur. This is enough to purchase a pig to farm or purchase equipment to start small businesses in sewing, or hairdressing. $500 Could allow a community to purchase food-processing equipment reducing the amount of time it takes to prepare dietary staples such as maize our. This allows more time for women to spend earning income and educating their children. $1000 Could enable a community to drill a borehole to provide safe drinking water. $5000 Could train 25 HIV Animators in Africa. AIDS is 100 percent preventable. If empowered with accurate information, and freed from social taboos, attitudes and behaviors that fuel the epidemic, the people of Africa have proven that they can protect themselves and their families. At Anytime Fitness Randwick we pride ourselves on being a supportive community. We know that we can only achieve our best when we support each other in pursuing our personal and fitness goals. As a community, we have the opportunity to make a big impact here and help change the lives of thousands of people. This is our opportunity to be a part of ending hunger and poverty by 2030. 100% of funds raised will go towards investing in epicentre projects where communities are inspired to act to meet their own basic needs and break the cycle of poverty. This campaign is being run in aid of Help Us End World Hunger.